This week I really took interest because I like to learn about the vast galaxy that we live in. I however did not think about how much art is influenced by space. For one is the Griffith Observatory museum, this place is filled with all of the scientific innovations that have made it easier to examine space as well as understand it. There they have the Samuel Oschin Planetarium where they project movies based on space onto a screen that allows one to feel like they are lying down and observing space from outside. I have gone to a few of these and they are magnificent. The many science exploration fleets have inspired people to make television shows and movie about what it would be like to be from another planet, to travel through space, and also what other possibilities of life are out there (The Jetsons, Star Trek, and Star Wars).There are also artists like Chesley Bonestell who creates prints of images of space, and space rockets. Different perspectives are taken from each work of art. For example there are two pieces that are of Mars, but they are form the point of view of different moons that orbit by that planet. I like this artist because even though the prints are dated, they have a futuristic feel. 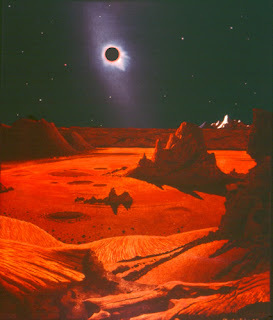 Bonestell, Chesley. Bonestell. Bonestell. Web. 29 May 2016. <http://www.bonestell.org/#prettyPhoto>. Cultural Space Programme. KSEVT. 2015. Web. 29 May 2016. 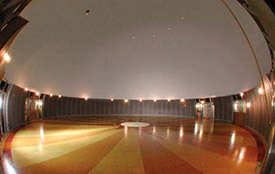 The Samuel Oschin Planetarium. Griffith Observatory.Web. 29 May 2016. <http://www.griffithobservatory.org/exhibits/sop.html>. Vesna, Victoria. Week 9 View. UC Classes.Web. 29 May 2016. <https://cole2.uconline.edu/courses/484297/pages/unit-9-view?module_item_id=8599423>. Paritatt. Try Zero-G Asia 2015 : Zero-G Painting (Thailand). YouTube. YouTube, 2015. Web. 30 May 2016.